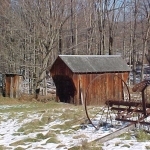 The Munson Covered Bridge is the only covered bridge still standing in Broome County. 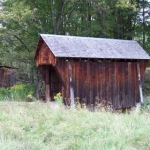 It is maintained by the owner and carries private pedestrian traffic across Munson Creek. 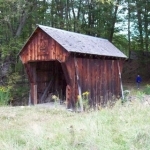 Built by Bob and Rachel Munson in 1991, this 22-foot-long, single span structure incorporates a Queenpost truss design and is one of only two Queenpost covered bridges in New York State. 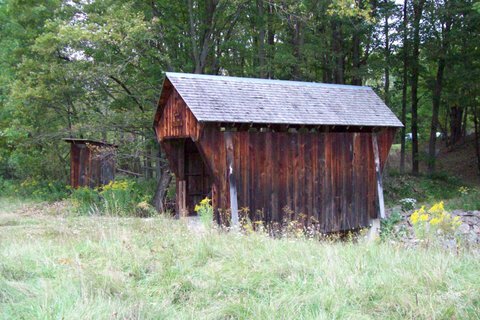 It is also New York’s shortest covered bridge. 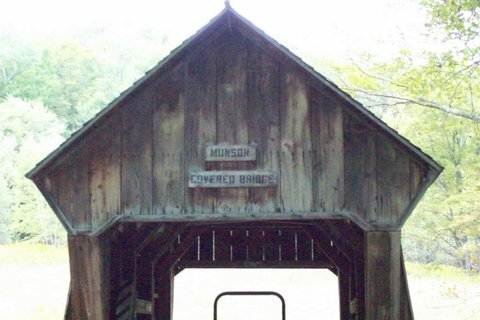 The total cost to build the Munson Covered Bridge in 1991 was $3,642. 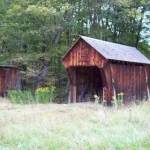 Covered bridges became an important part of our lives in 1987. 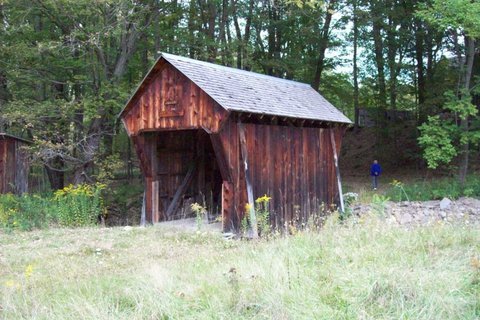 Having visited many bridges and viewing the intricate construction, we decided it would be a challenging and rewarding project to build a covered bridge of our own since we had adequate acreage and a fair sized creek to do so. 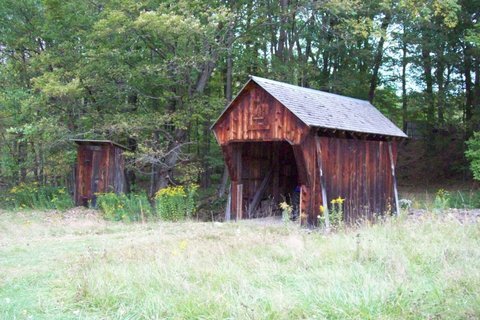 During the summer of 1990 we began with erecting the concrete abutments and then we let them cure until the spring of 1991. We also ordered and took delivery of the three lower chords (beams) for curing. 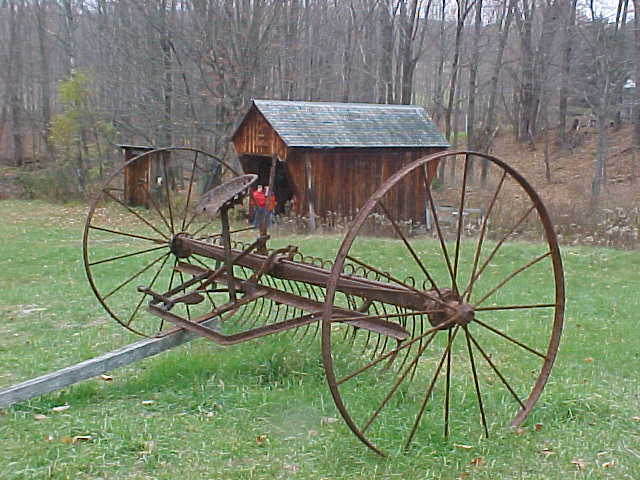 In May of 1991, the lower chords were put into place and we were on our way to what became a true reality. 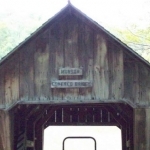 We worked faithfully a few hours each day for a total of 257 hours, and constructed a single span, Queenpost truss using all rough hemlock lumber and cedar shingles for the roof. 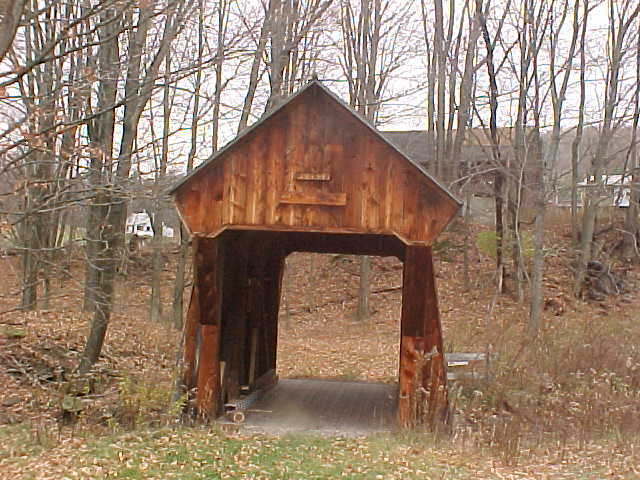 It took 3,732 board feet of hemlock, 98 pounds of nails, 16 bundles of Canadian cedar shingles, and 10 yards of cement to build the bridge. 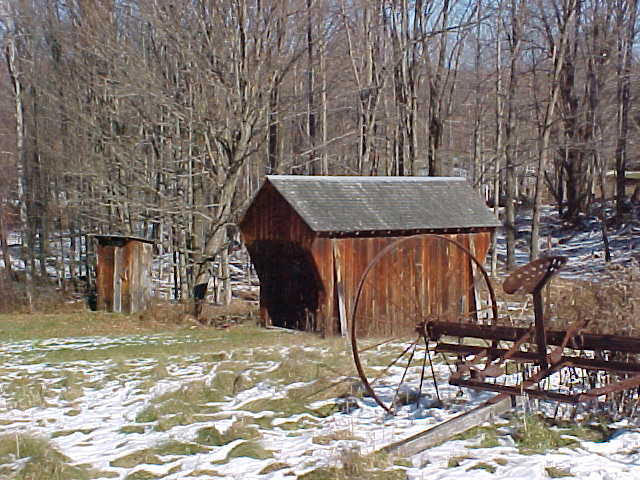 It was completed in September 1991 and a dedication was held on October 13, 1991. 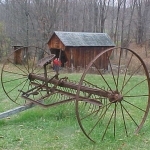 Eighty people were in attendance ranging in age from 8 months to 80+ years old. 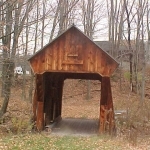 Written by bridge owners Bob and Rachel Munson, Vestal, NY.